Do Hyun spent most of his elementary and middle school years in Moscow, with students and teachers from over 60 different nations. Although times were challenging at first — mostly due to his limited English and Russian — he grew to appreciate what a diverse community has to offer. He had the opportunity to serve this community in his senior year as the Student Council President, when he initiated several projects based on the feedback from his peers. After coming back to Korea, Do Hyun sought to continue his community service in his new community, Seongnam. Working there, he saw how difficult it is to efficiently use space in such crowded settings. He worked to promote youth athletics, but came to realize that in some parts of the city even sports facilities had to be built on rooftops due to limited space. This experience led to an interest in the structure of cities and sustainable urban development, which led him to apply for the 2018 ECOSOC Youth Forum. The ECOSOC Youth Forum is an annual event held by the United Nations since 2012, providing a platform for youth leaders to engage in a dialogue with officials and fellow delegates regarding topics such as resiliency and sustainable development. As the ROK Youth representative, Do Hyun shared some Korean policies, but most importantly, he listened to delegates from the other member states talk about how they solved their local problems. 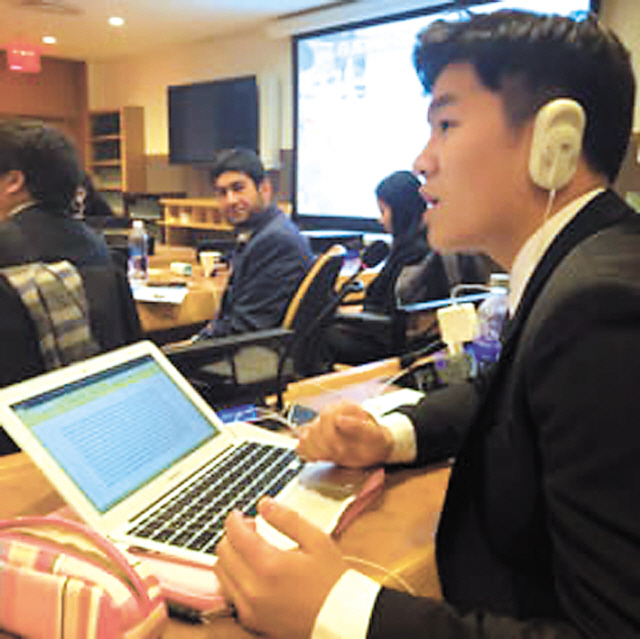 Before coming to the ECOSOC Youth Forum, Do Hyun already knew the importance of technology education for youth. However, he was surprised to hear — from the Mexican, Australian, and Dutch delegates — about tech-based projects led by youths that were creating a positive impact in their regions. Do Hyun wondered whether similar projects could be implemented in Korea. After coming back, Do Hyun decided to organize a coding class for elementary school students in Pogok. The class started by focusing on the “why”: the reasoning behind learning coding and the potential positive impacts of such knowledge. It was especially rewarding for Do Hyun when students started to program games on their own by applying what they’d learned. Do Hyun believes in the value of listening and learning from others’ experiences, even, perhaps especially, if they took place in different countries. Do Hyun is currently in the process of creating “Coding Scent” — an online platform where those with similar experiences or those just wanting to get started can share their materials and stories about what works and what doesn’t in their own local contexts. Do Hyun hopes to make Coding Scent an international venture, where teachers from Korea and across the globe can share class materials and improve their classes by learning from the experiences of others.